Which router should I choose? There are no hard and fast rules as to when an upgraded WiFi router will provide better performance or user experience, so the following examples should simply be used as a guide. You will need to take into account your own particular circumstances, unique requirements and environment if choosing an upgrade. It is important to note that it is the WiFi component of these routers that makes the most difference. If routers are hardwired to the devices then a faster throughput will generally always be achieved. Motion Telecom supplies three categories of WiFi Router for NBN services – Standard/Base Model, Mid-Range Model and Hi-Performance Model. A base model router provides good performance with all plans. With the 12Mbps & 25Mbps there is no real benefit gained by upgrading to a better WiFi router. Even with the NBN 50Mbps & NBN 100Mbps plans, the base model provides good performance for most single user requirements. 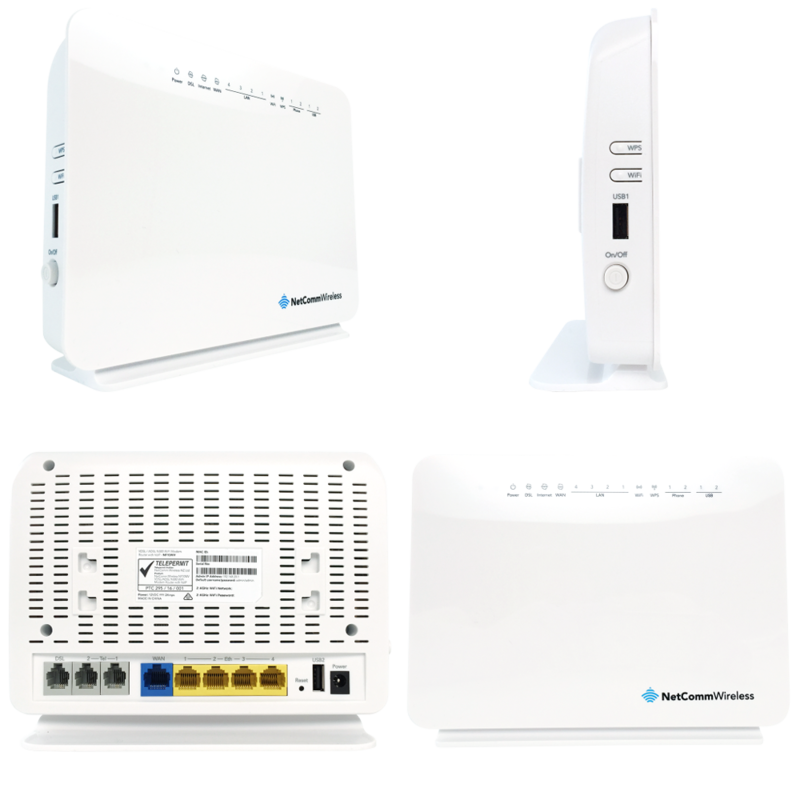 The base model router we supply with our NBN plans is NetComm’s Wireless NF10WV – it provides a good value to performance ratio. 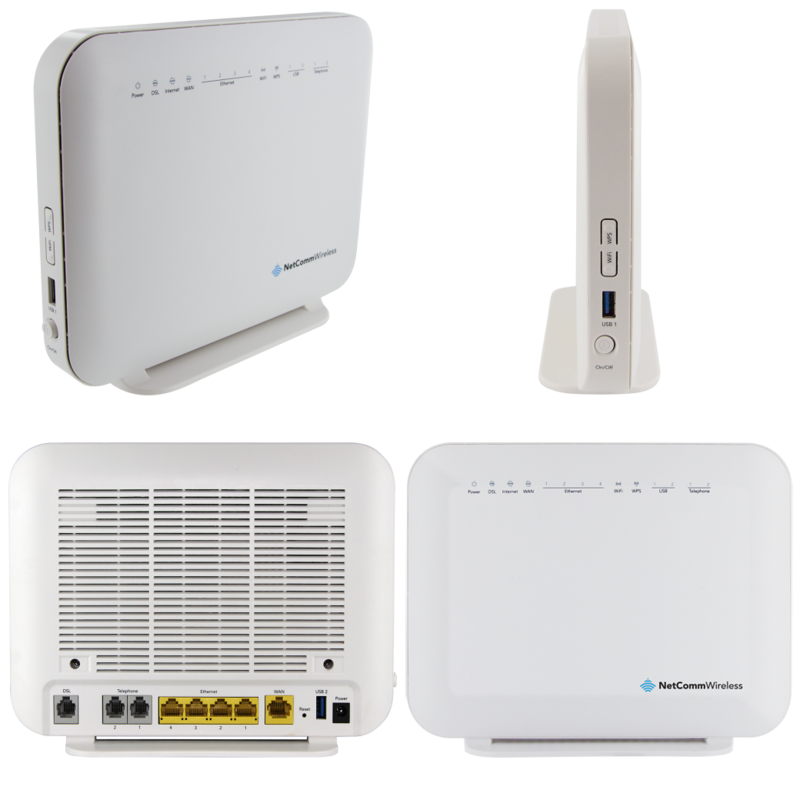 If your home environment is one where there are multiple simultaneous users streaming video, internet TV, downloading, general gaming and using VoIP to make calls, then a Mid-Range router will provide a better user experience when used in-conjunction with NBN 50Mbps & NBN100 Mbps plans. It is also a good choice for businesses accessing internet based applications via WiFi with up to approximately 5 users. We supply an upgrade option with NetComm’s Wireless NF4V which is ideally suited for simultaneous multi users and tasks. 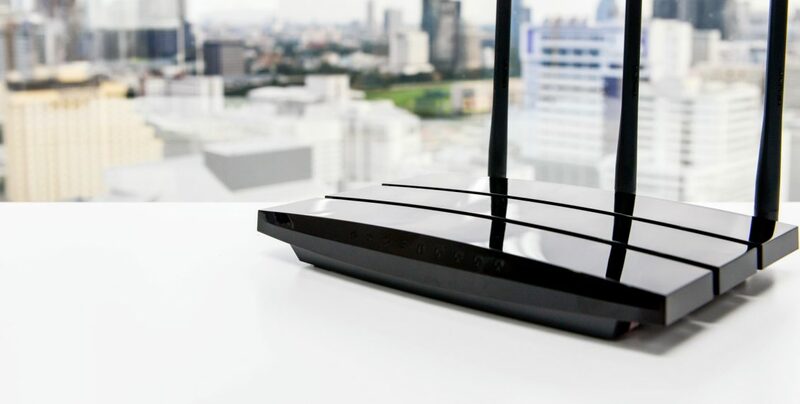 A High-Performance router is an over-kill for most home users. But if you are a heavy duty serious gamer with multiple simultaneous gaming users, streaming video, calling or using other heavy duty remote applications, or if you are a business with multiple POS terminals or sharing WiFi with customers or have approximately 5 users constantly accessing remote internet based applications (Office productivity, CRMs, Invoicing, etc) then this may be a more suitable choice when combined with a NBN 100Mbps plan. 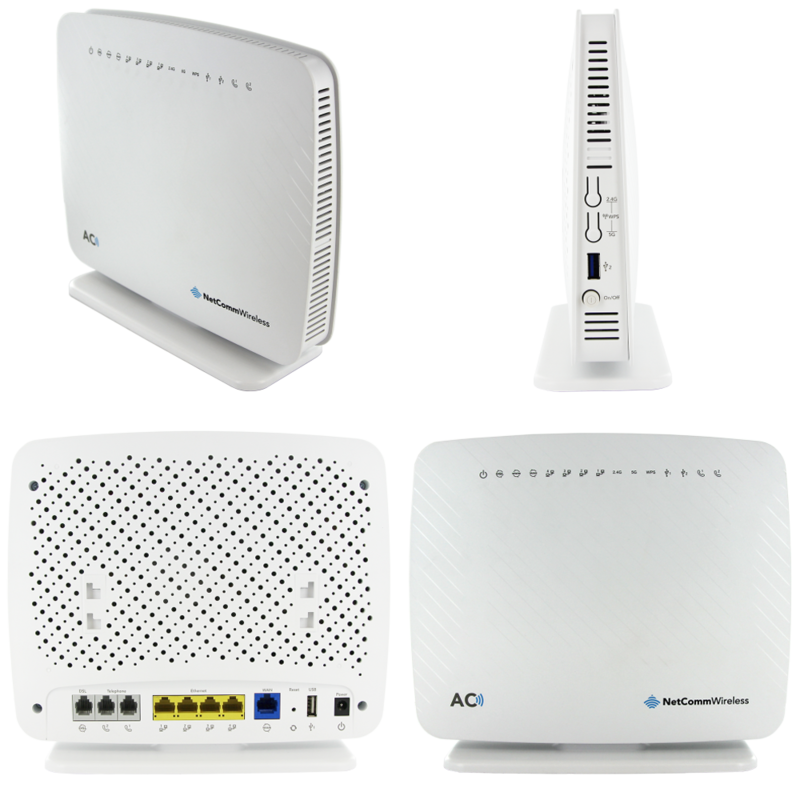 NetComm’s Wireless NF17ACV which we supply as an upgrade option is designed for serious simultaneous multi-user heavy gaming, video streaming and other demanding applications. You may supply your own router to use with our Motion NBN services and therefore you will not need to purchase another however the router must be capable of connecting and operating on the NBN via your NBN connecting medium, must be configurable to operate on the NBN network via Motion Telecom, and must be in current working order. Motion Telecom subsidises the setup costs (WiFi router, configuration & shipping) for certain NBN Motion plans. Click here for our price list.